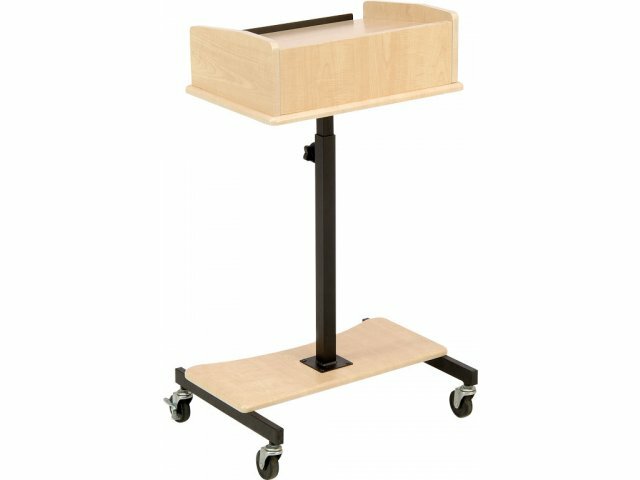 Looking for a lectern that can hold your audio-visual presentation equipment, yet is smaller than a classic AV cart? The ultra-compact Laptop Podium combines the best of both worlds. Its adjustable-height reading surface can be set at three different angles so speakers can read notes comfortably. To use this multimedia lectern for AV presentations, simply slide out the laptop shelf and you will be able to use a laptop and projector simultaneously. 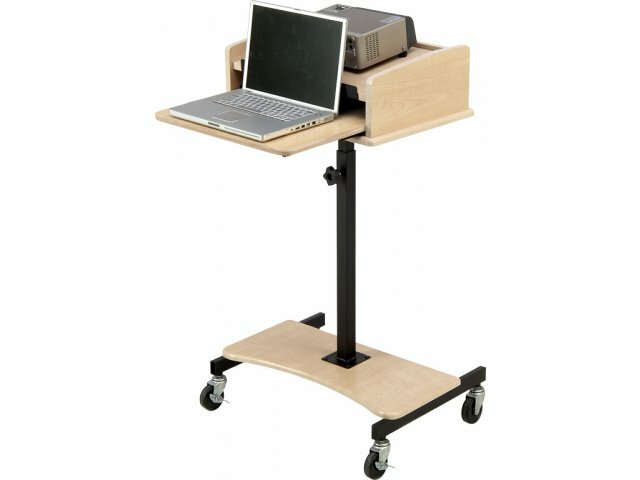 This laptop podium easily rolls to the next destination when the presentation is over. It is sure to make an invaluable addition to your office or school. 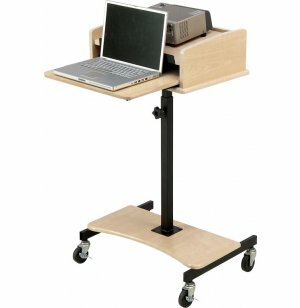 Versatile: Can be used as a regular lectern or as a multimedia laptop and projector stand. Convenient: The slide-out laptop shelf lets you use a laptop and a projector simultaneously. Adjustable: The reading surface can be set at three different angles, and it is height adjustable as well. Strong Materials: Features panels made with a medium-density fiberboard core, and a sturdy steel frame. Mobile: Rolls easily from room to room on 3" casters (2 locking).